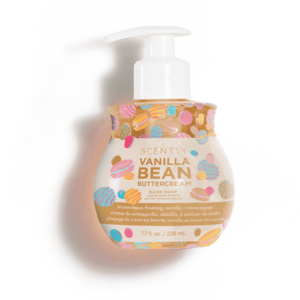 Scentsy Vanilla Bean Buttercream Body Cream, Decadent buttercream frosting made with the freshest butter whipped with cane sugar and vanilla extract. 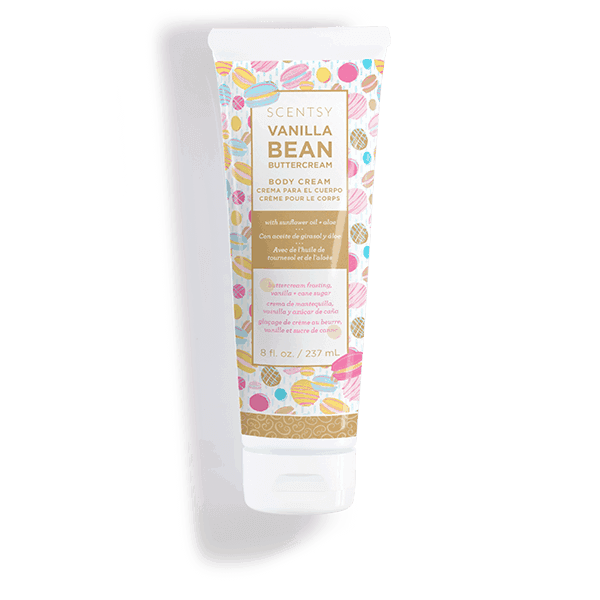 Vanilla Bean Buttercream Body Cream-This vitamin-infused, mega-moisturizing formula softens and protects for your best skin ever. EveryBODY loves it! Your everyday all-over moisturizer that softens, smooths and protects! 8 fl. oz. Vitamin-rich, non-greasy formula softens and protects your skin’s moisture barrier. Large size for daily use.